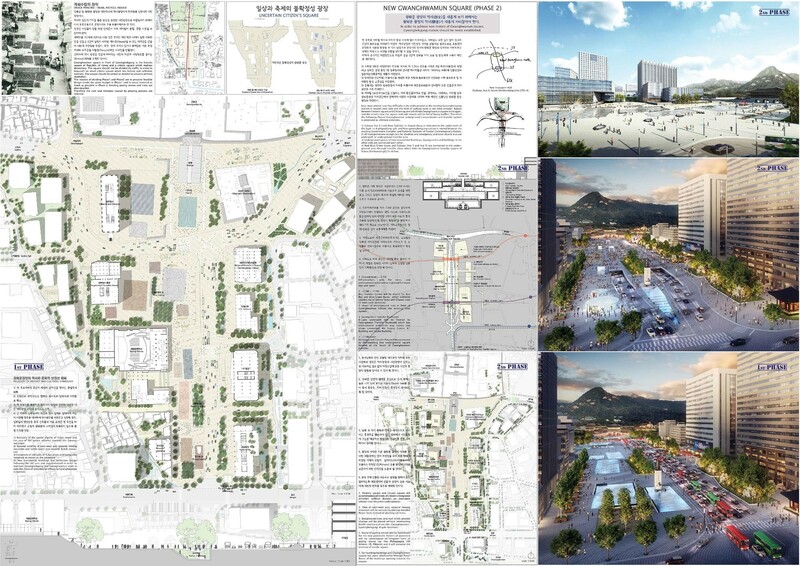 HONORABLE MENTION for the new GWANGHWAMUN SQUARE competition in collaboration with Kunchook-Moonhwa Architects(Kim Young-Sub). Our design was selected as one of the 10 finalist projects among a total of 70 entries for the most important competition held in South Korea in the past years. The design proposes not only a 'car-free' public space above ground but also a new integrated transportation plan in the underground.